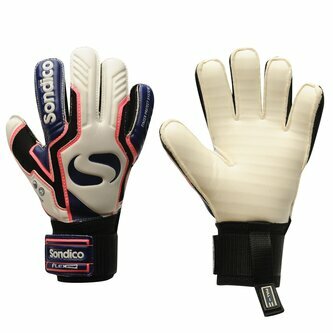 Stylish in design and made with performance in mind the Sondico AquaSpine Junior Goalkeeper Gloves give the best of both worlds out on the pitch! 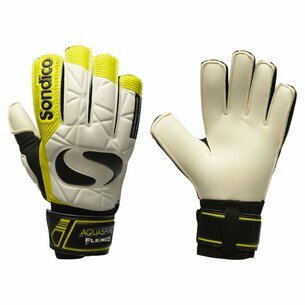 The top end grip foam palm allows for exceptional saves and helps to boost game confidence. Complete with a hook and loop strap closure for quick and effortless fitting.